Skin tight faux leather girls' pants by Punk Rave. 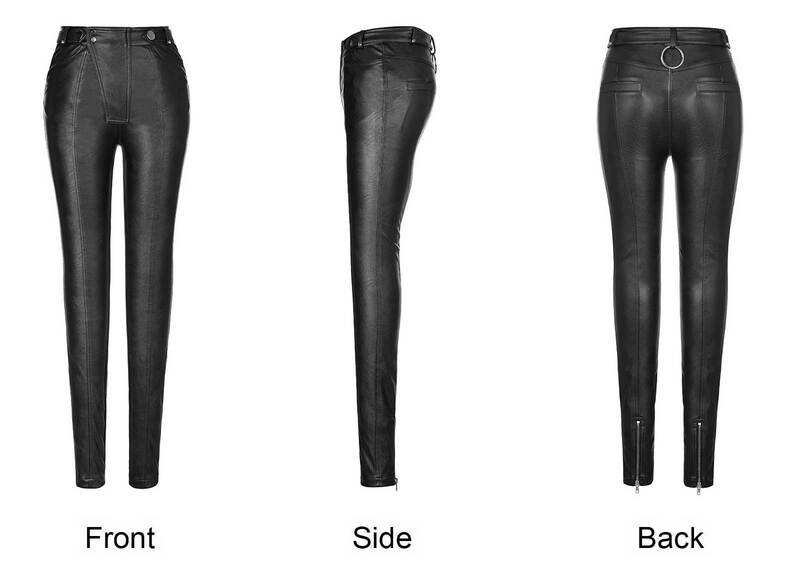 Slim cut, with vertical seams. Slant drop fly with zip, tiny studs and big O-ring back. Turns out small. 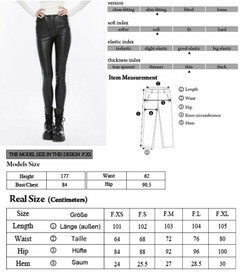 Skin tight faux leather girls' pants by Punk Rave. 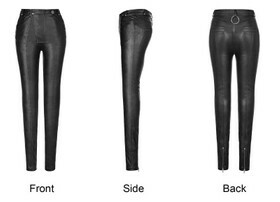 Slim cut, with vertical seams. 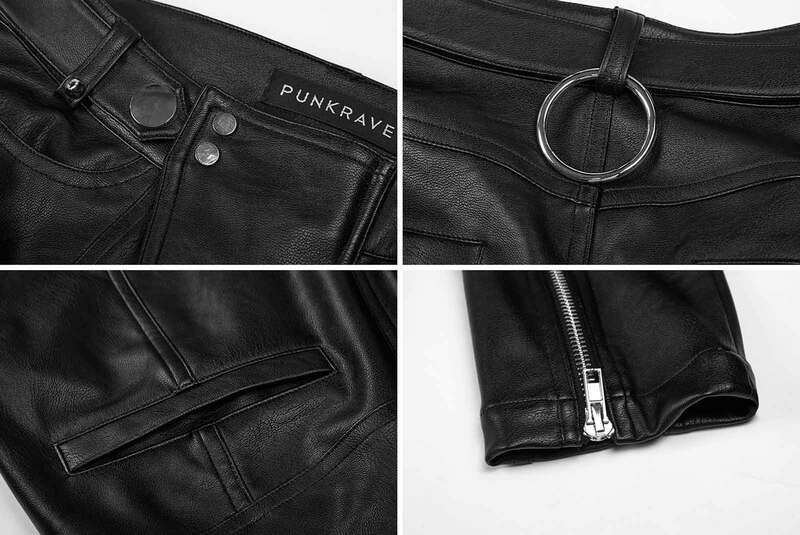 Slant drop fly with zip; belt strap with snaps, tiny studs and big O-ring back. 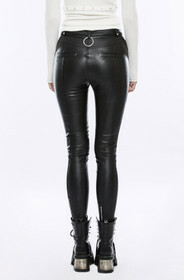 Small chrome zips at the ankles. Notice: These pants turn out small.